My name is Ratheesh R. I am from Idukki District the place known as Vagamon. There are 4 members in my home. My father is not keeping well. So my mother is going for some work. I have one sister who is studying with me in this childrens home. I am from a Hindu background. In my village there is no educational facilities. Moreover there is no health care service. Because of the poverty of my family my parents were not able to give me education and enough food. So they sent me to Precious Children Home. 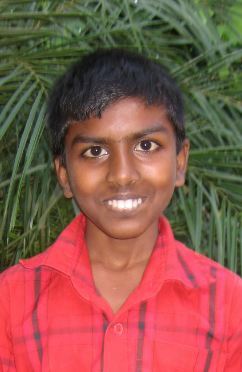 Here I am so happy to stay because I am going to school and get good education and enough food.